Are you going on holiday to Italy? Do you want to know what common business hours are like in Italy? Our guide to Italian business hours gives you the facts & information you’ll want to know. Business hours in Italy vary depending on the nature of the establishment and what part of Italy it is located in. While business hours for most government operations are more or less standardised across the country, there is some variation in opening times between the north and south of Italy. Generally, things in the south of Italy tend to stay open until later in the evening. Below we’ve outlined as accurately as possible the business hours for various places you might need to use while in Italy. 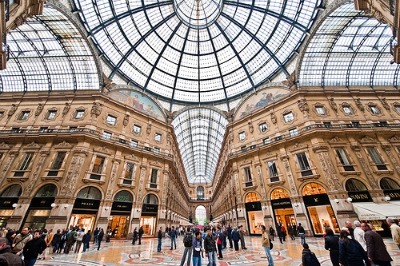 Shops in Italy generally open at 9am and stay open until between 1 and 2pm when they close for lunch. Afternoon shop opening hours are generally from about 4 to 8pm. Most shops open for at least a half day on Saturday while others treat it as a normal working day. Few shops are open on Sundays. Large supermarkets and department stores are the exception to this and many of them open for half a day on Sunday while throughout the rest of the week they are open from 10am to 7.30pm. Most restaurants in Italy usually open for two separate shifts each day. Restaurants usually start serving their lunch customers at around midday and continue until 3pm. Opening hours for the dinner shift at most restaurants usually starts at about 7pm and go on until 11pm or even a little later, especially in the south of Italy. Bank business hours are standardised across Italy. Business hours for banks in Italy commence at 8:30 and continue until 1.30pm when they close for lunch. These banks open again in the afternoon only for one hour from 3.30pm. Banks in Italy are open from Monday to Friday. Opening hours for pharmacies in Italy are from 9am to 12.30pm and again from 3.30pm until 7.30pm. Most pharmacies are open on Saturday mornings although it’s rare to find them open in the afternoon on a Saturday and Sunday. There is always at least one pharmacy in every area that is open at any given time. There will usually be a sign on the door of any closed pharmacy stating where the nearest open pharmacy at that time is. Post office business hours in Italy are from 8.30am to 6.30pm from Monday to Saturday. Sandwich and snack bars tend to open early in the morning at around 8am to serve breakfast customers. Many of them stay open through the day to serve office workers on their lunch and will probably stay open until around 7 or 8 in the evening. Bars usually open at around 7 and stay open until 11pm.